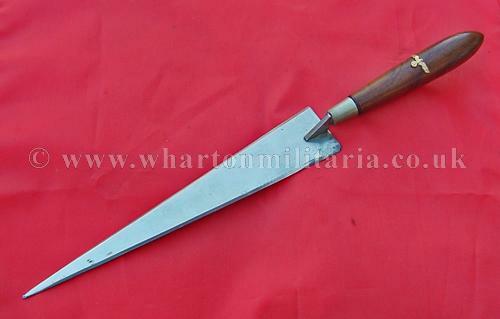 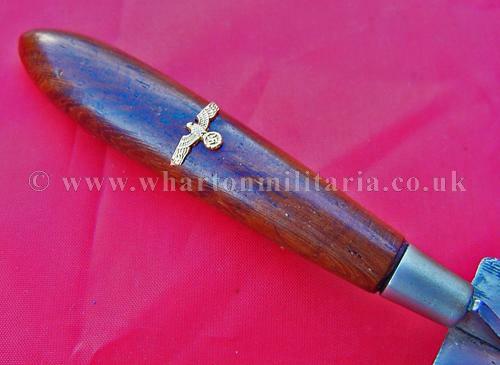 A Kriegsmarine letter opener by SMF in excellent condition, overall size approx. 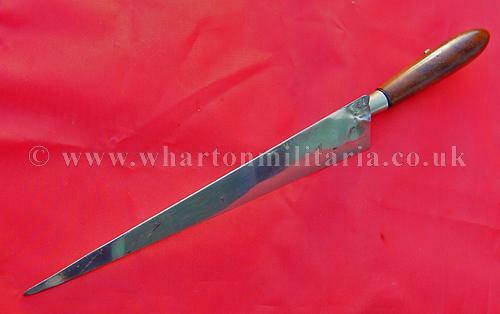 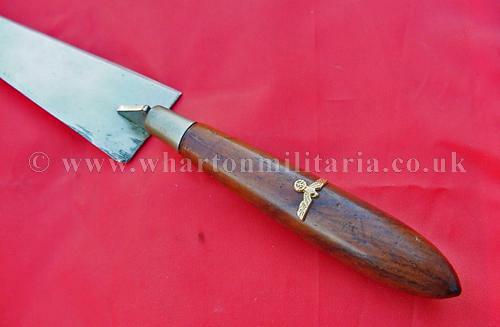 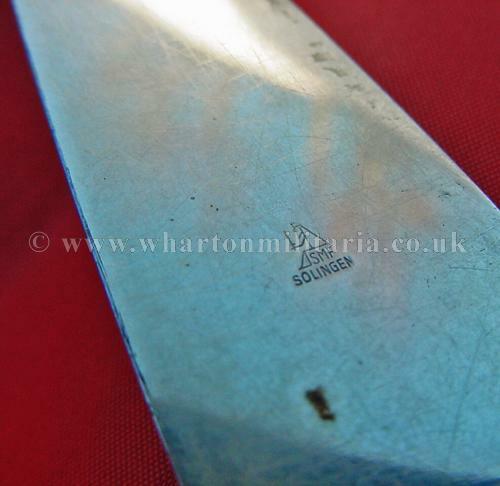 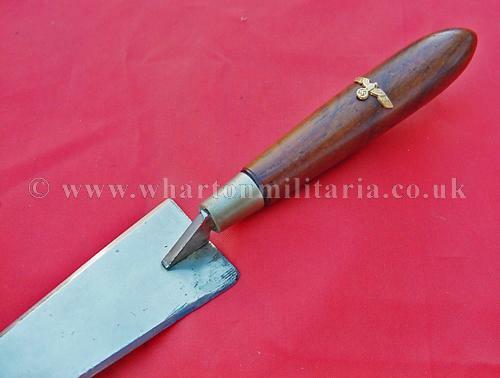 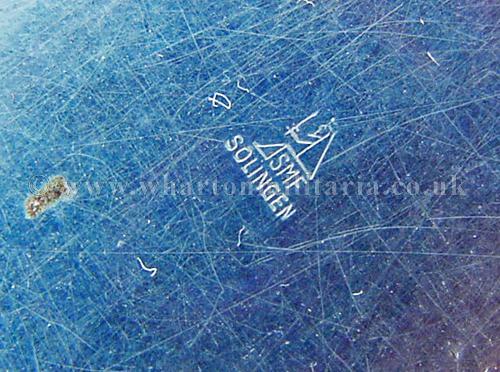 25cm, wooden handle has a gold KM eagle, the blade is maker marked with the seated king logo over the manufacturer's initials 'SMF' and Solingen, blade has a slight bend to the tip where it may have been dropped or used to poke something in its past. 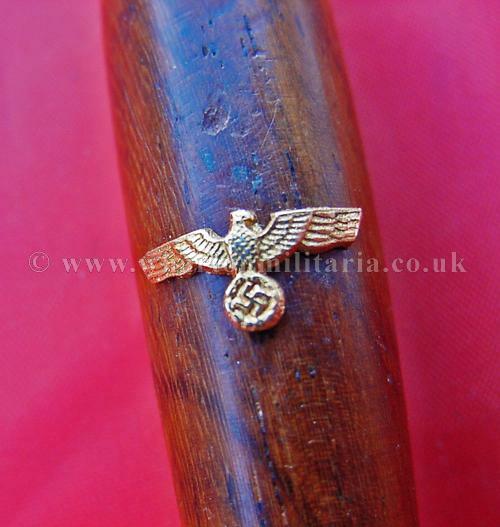 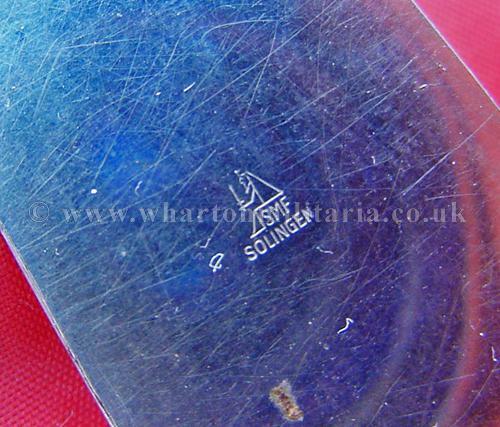 A scarce personal item not often seen.